1. LED Control: On-board IC constant current controller with temperature sensor. The product is updated with temperature sensor. 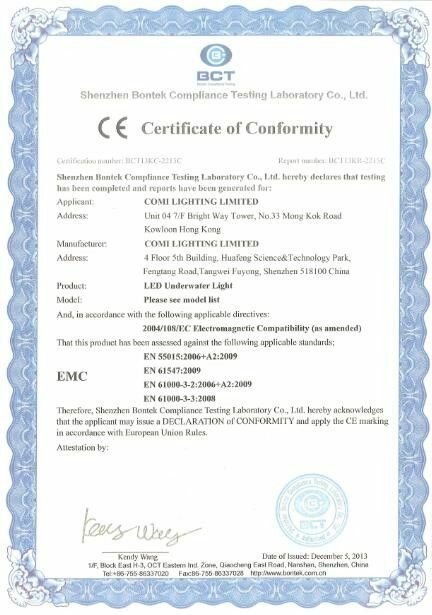 Based on 25°C, it can automatically adjust the LED current according to the change of environmental temperature.The working current will decrease when temperature rises, and increase when temperature reduces. The adjustment rate for current is ±20%, while the brightness remains the same from the start end to the tail end. 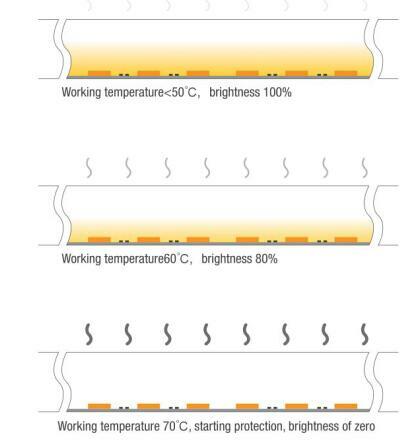 When the working temperature less than 50°C, the strip will be at 100% brightness, when the working temperature more than 50°C, the temperature sensor will reduce the working current for the LED strip to enable the working temperature reduce and no more than 50°C. When the temperature is too hot and more than 50°C and such as reach 70°C, the LED strip will be turned off until the working temperature around 50°C. This products adapts voltage ranging from 22V to 26V to keep the LED strip at a constant constant current level.Working current of the LEDs is automatically adjusted according to the ambient temperature, ensuring a longer lifespan of the LEDs. (3) Constant current IC driving ensure Continuous run length10Meters and uniform brightness from the start end to the tail end. 9. Mounting: All flexible products come with a high quality genuine 3M mounting tape. 10. 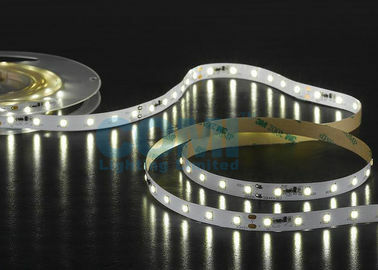 Construction: Flexible white FPCB with rolled copper for long life with 60 LED’s spaced evenly per meter. 14. Warranty: 3 Years warranty. 5. For rating IP65,IP67,IP68 versions , please inquire us separately. 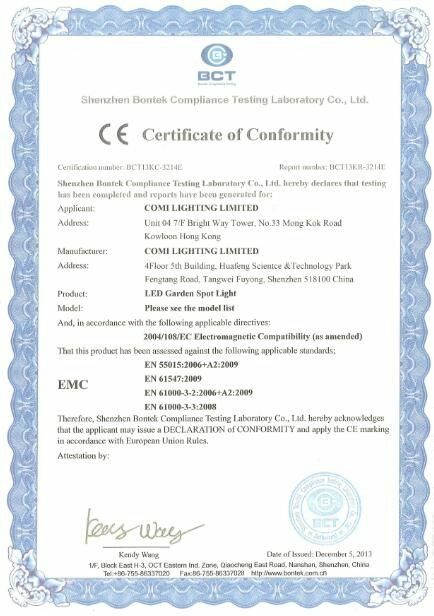 (what is name methods for difference IP rating LED Strip in COMI Lighting?